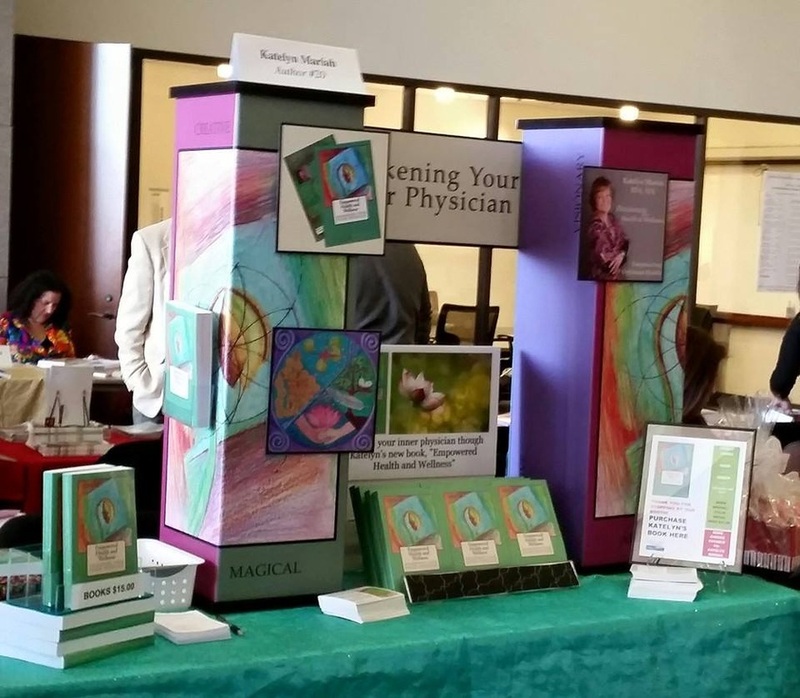 "Empowered Health and Wellness; Awakening Your Inner Physician." ​" Hindy Hedgehog's Magical Garden﻿"
"The author’s impressive knowledge in health and wellness impresses, particularly given the vast amount of fresh material provided in spiritual elements. I found myself turning pages left and right, impressed by so many new-to-me facts and insights. It’s a beautiful thought on page 7 – so impressive at the start of this book and deepening the immersion the already-impressed reader feels: ‘what if every illness has an angel attached to it?’ Readers who are currently caring for a sick loved one, or battling an illness themselves, will take great comfort in this idea. Beautifully done. The book is very well organized, with complex concepts broken down into manageable snippets, and we’re treated in between to great quotes. Well done. I loved it that the author had the excellent instinct to save her own personal stories until after she welcomed the reader into the book with instructional and inspirational material. It’s a mark of writing maturity not to want to jump right into ‘my story.’ Well done. The ‘woe’ vs. ‘whoa’ part made me smile. There is a lot to love about this book, including health facts that show the author’s expertise and dedication to building a multifaceted book filled with helpful information and a solid guide into better living." THE INFORMATION IN THIS BOOK WILL CHANGE THE WAY YOU LOOK AT HEALTH AND WELLNESS FOREVER! A HEALTH AND WELLNESS LABORATORY IN A BOOK! Come with Katelyn on a journey to discover this forgotten inner consciousness. From the book: "When I started my journey back to well-being I didn't realize what I was tapping into. I put the pieces together in retrospect after experiencing seven or eight physical miracles of healing. 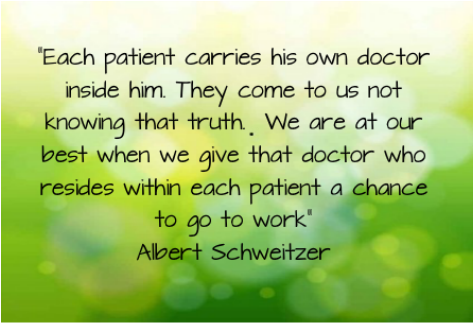 I realized that when I focused on the reality I wanted to experience, rather than the one I was experiencing, my reality shifted to wellness because I was able to connect with my Inner Physician and get the information I needed so I could heal." What an amazing journey through this book - I have started and stopped reading so many books, but this one I could not put down! It was almost hard to believe all the hardships and injuries Katelyn endured, only to read about some miraculous synchronicity that happened because of her intuitive trust that all will work out and everything ended up making her a stronger person. She took each lesson to the next level - I love how she weaved her own journey with solid research and the creativity she was able to develop along the way. This book gave me more hope to really engage and trust my own Inner Physician and empower myself with positive, grateful thoughts. Thank you for this Masterpiece!! "This is one of the most remarkable health and wellness books I have ever read. Katelyn's writing style is so easy to read and understand. She includes many useful tools to help one achieve wellness. Her personal stories and experiences help the reader understand the techniques she provides at the end of each chapter. This is a must read for any one wanting to add tools to their health and wellness toolbox. " "Powerful, insightful and amazing book. The guidance and vulnerability of the author is so appreciated and relevant. If I could, I would buy one for all of my friends and family. This is a must-read and definitely a must-gift for loved ones. Thank you Mariah for sharing your wisdom. It's an emotional read, bringing up so many moments for my own self healing journey." "I just finished reading this book! Wow! I gained so much knowledge and insight from this book. There is an "I didn't think of that!" in every chapter. I highly recommend reading this book. Your life and how you think about your life will never be the same." ﻿If you or someone you love is struggling with health issues, you will want to purchase this book! The Seed of Life, shown at the left, is a sacred symbol for wholeness. The seed of life pattern is made of seven interlocking circles. Some beliefs see these seven circles as the seven days in which God created life. First one circle was created and on each further day another circle was added. Once all seven circles were formed the seed of life was born. And from this shape the flower of life (which is basically like the seed of life but with another layer of circles around the outside) is built, which contains the blueprint of the universe. Therefore all that exists can be built from the seed of life. The oldest version of this can be seen in the Temple of Osiris at Abydos. All things existing can be built from the shape of the seed of life. It also represents the balance of the masculine and feminine within. I chose this symbol because we all have a blueprint for health that the inner physician is following as it brings us back to perfect balance in wellness. On the book cover the Seed of Life is in motion around an actual seed. The seeds of information within the book will activate the seeds of health inside of you and set them in motion toward wellness and balance. **coming soon...meditation CD's mentioned in the book.